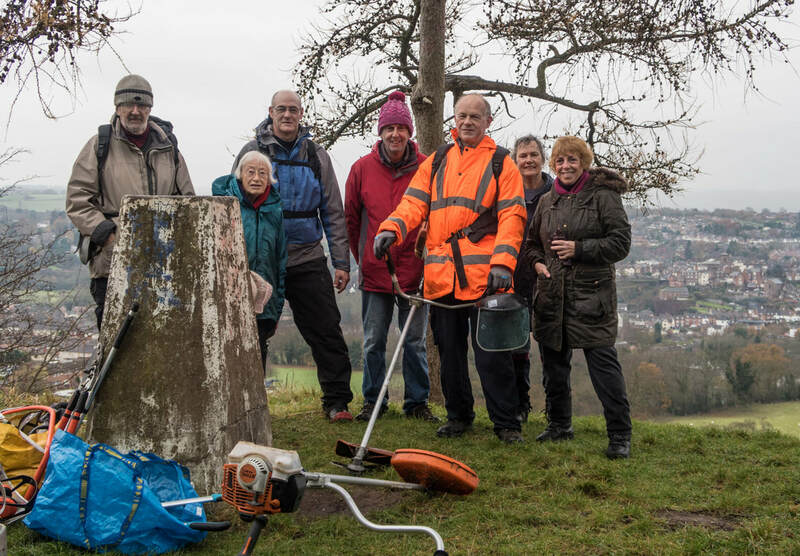 Our next working group will be held at 10am on Saturday 27th April. We normally work for 1.5 to 2 hours, sometimes working longer if we feel like it. 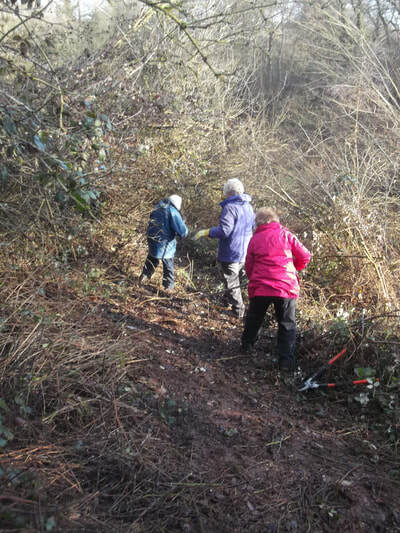 We will clear the paths to High Rock from Bridgnorth Cemetery and Wolverhampton Road. Meet at the car park at the entrance the Bridgnorth Cemetery. A NOTICE WILL BE POSTED HERE IF THE EVENT HAS TO BE CANCELLED DUE TO BAD WEATHER. It would be helpful if you could let us know if you plan to attend, either by email or by completing the form on the ‘Working groups’ page on the web site. It is very helpful in planning the session to have an idea of how many will be there. There is no need to send apologies. Please wear appropriate footwear and clothing, including gloves if you have them. Eye protection and gloves will be available. 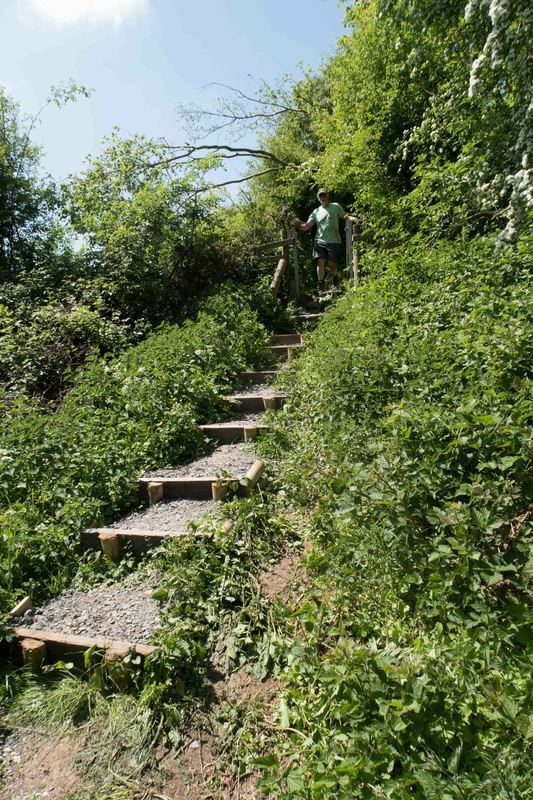 We recommend wearing trousers, rather than shorts, given the brambles, nettles and overgrowth we encounter. There is a Guidance for Members document on the web site. Please read this if you have not already done so. 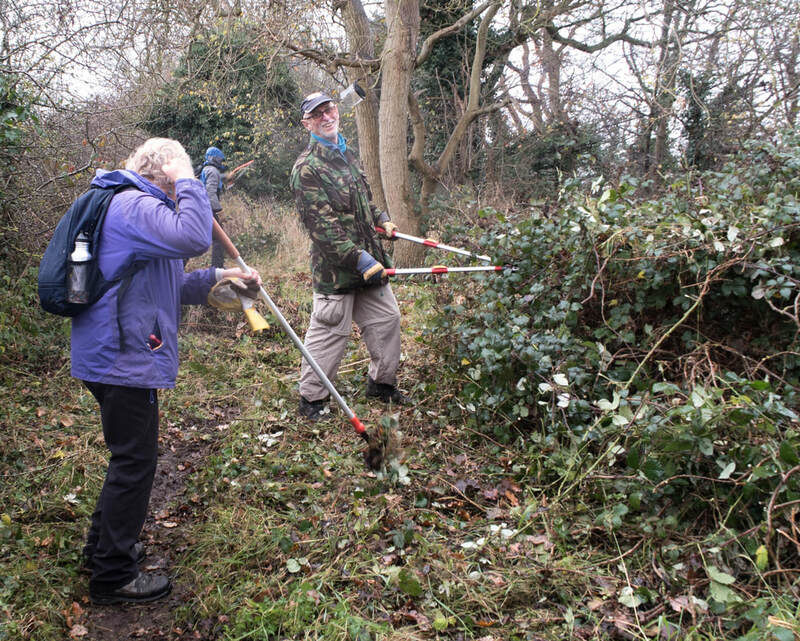 Bring secateurs, shears or loppers if you have them – we will also provide some. If you have not yet done so, please complete the membership form on the Members' Info page and read the Guidance for Members document. 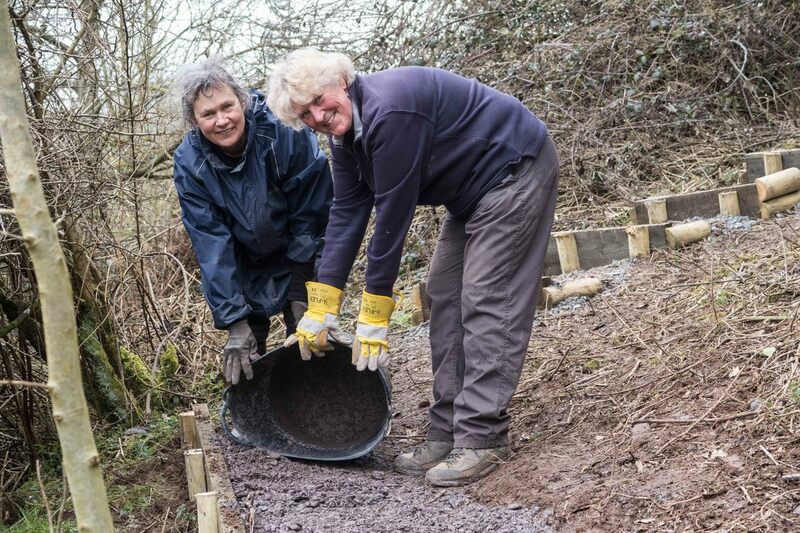 Doing so currently gives you Personal Accident Insurance provided by Shropshire Council. 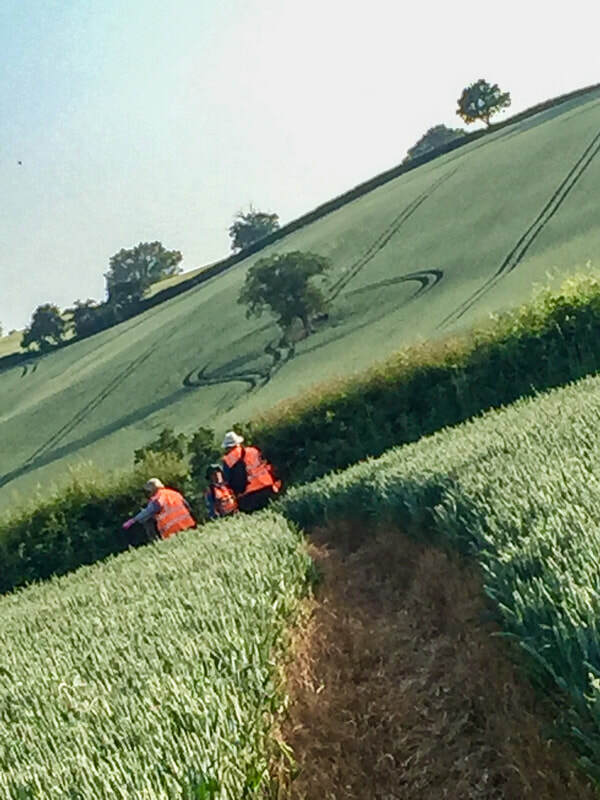 Dogs are not allowed on working groups for their own safety and also because they don’t like the noise of our brush cutter. Thursday 23rd May - meet at 6.30pm. 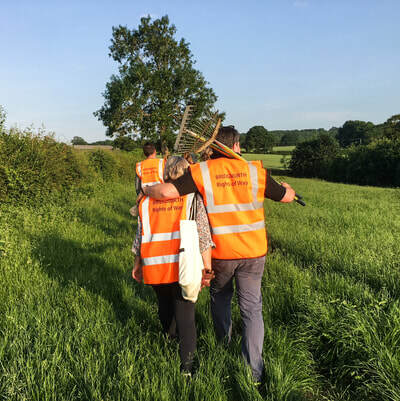 Thursday 6th June - meet at 10am (working group organiser needed). Thursday 20th June - meet at 6.30pm. Thursday 4th July - meet at 10am (working group organiser needed). 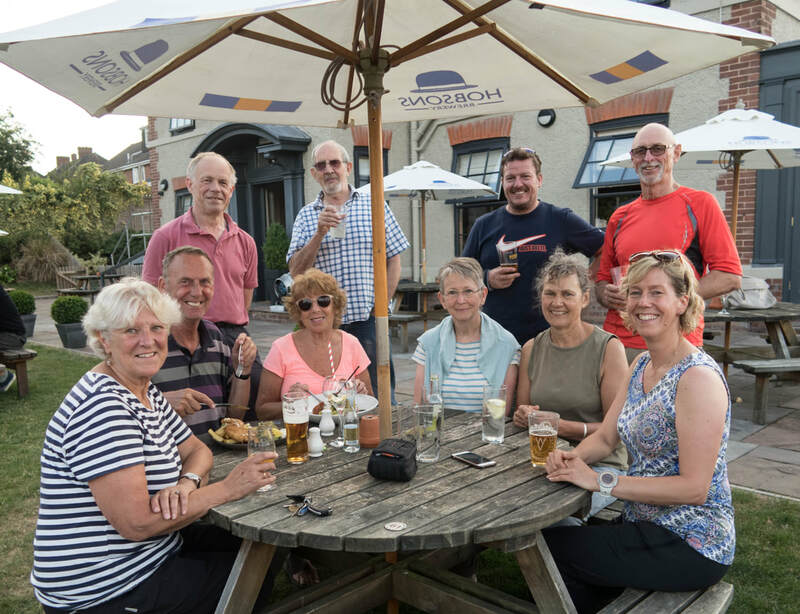 Thursday 18th July - meet at 6.30pm. 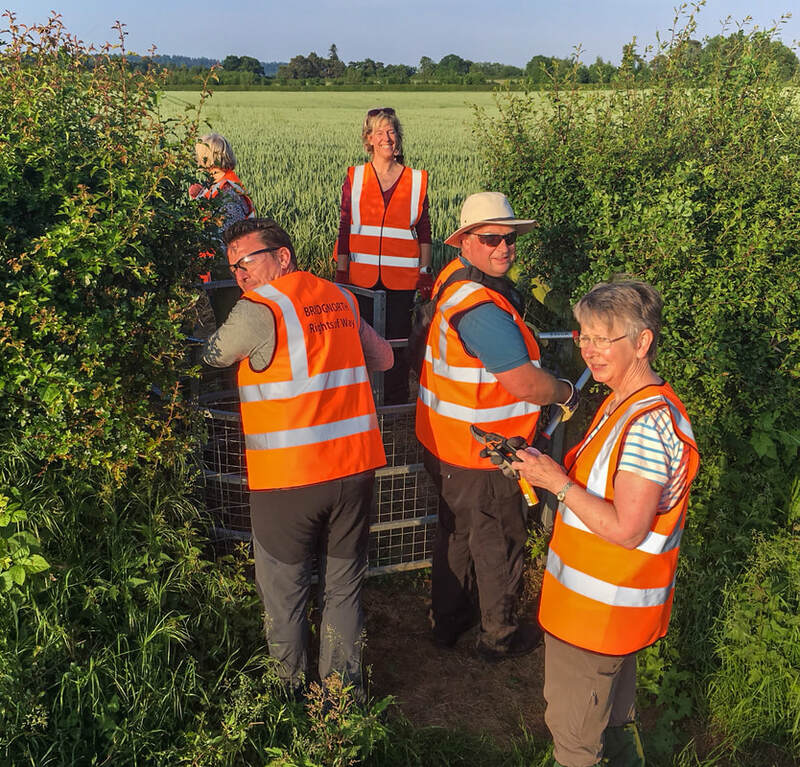 Thursday 1st August - meet at 10am (working group organiser needed). Let the working group leader know that you are likely to attend to help planning. Please provide your email address so that we can contact you. Your email address will be deleted if you do not join the Association. 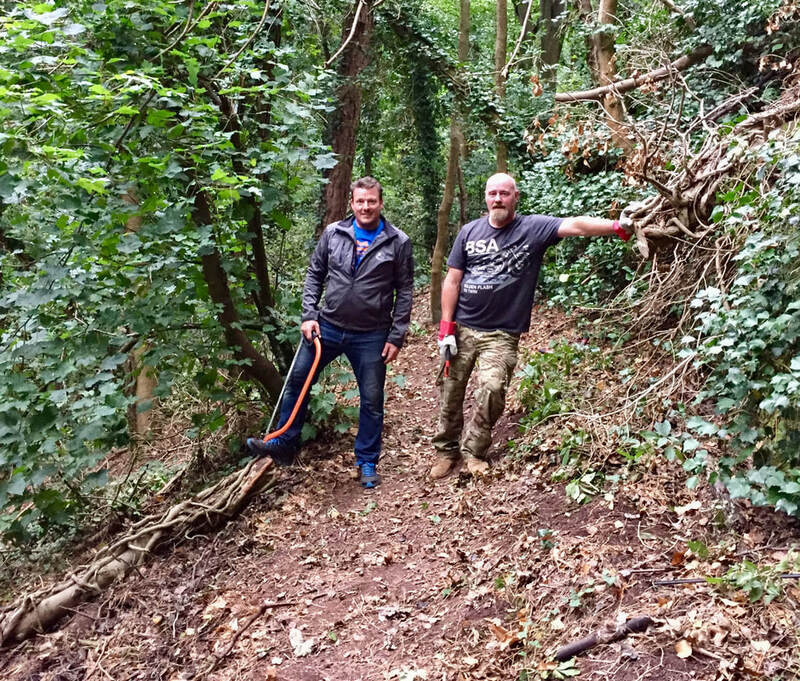 Ten of us cleared the path along Hermitage Hill Coppice, from the reservoir to Stourbridge Road, including reinstating the right of way from the reservoir to the top of the path down to Lodge Lane, which had become overgrown. 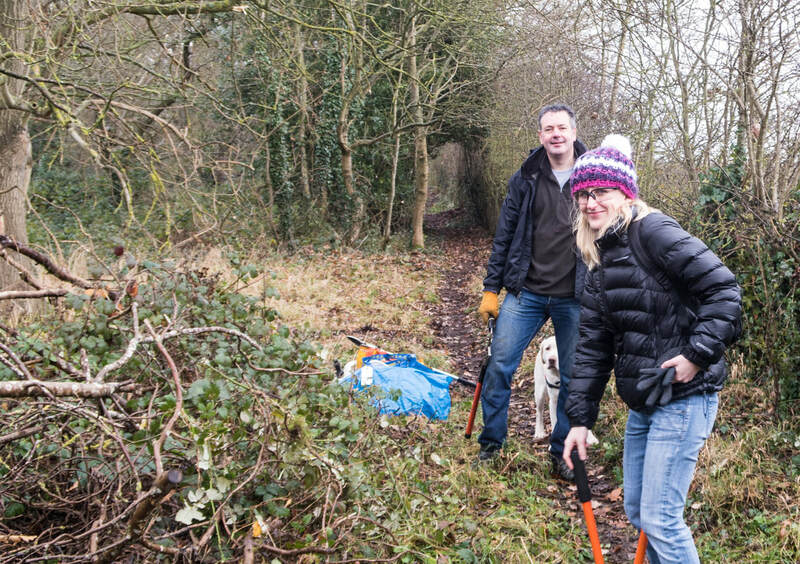 It is rewarding to see that nearby stretches of the path, that we have previously cleared, are being kept clear by ongoing use. 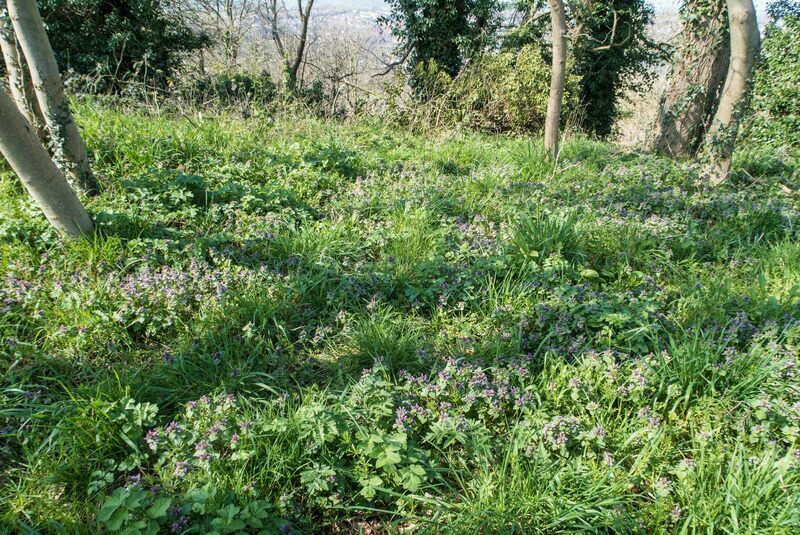 Many stretches are now covered in flowers where brambles have been cleared. 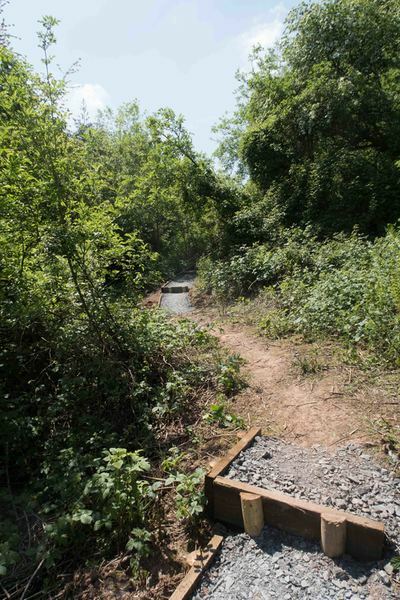 Thanks to all who have worked on these paths in the past and on this session. Five members cleared the stiles along 5km of paths to the south west of Oldbury, starting from Oldbury Church. Marvellous weather and tremendous scenery. 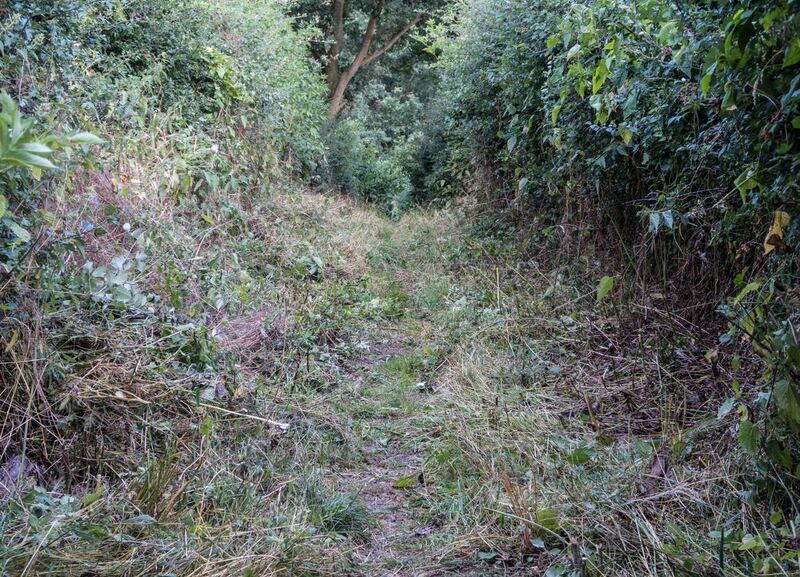 We last cleared the route in 2018 and it is in good condition. 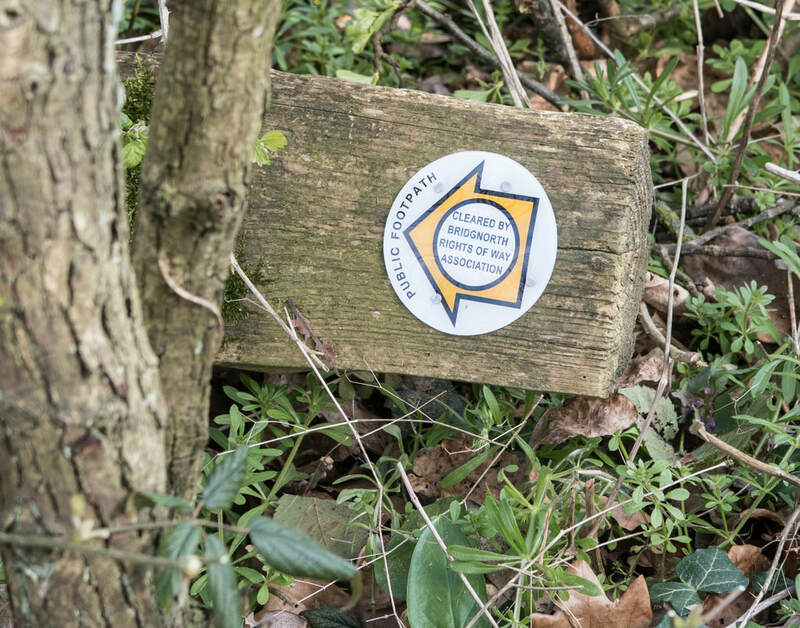 The walk is described on our Walks page. Eight of us cleared the steps leading down to the bridge over the brook and put down ballast. It's now a far less muddy route to follow. We also cleared the bridge, levelled one of the small bridges on the path towards Cross Lane Head, improved the signage on the paths and removed a large tree fallen across one of the paths. Thanks to all those who attended. 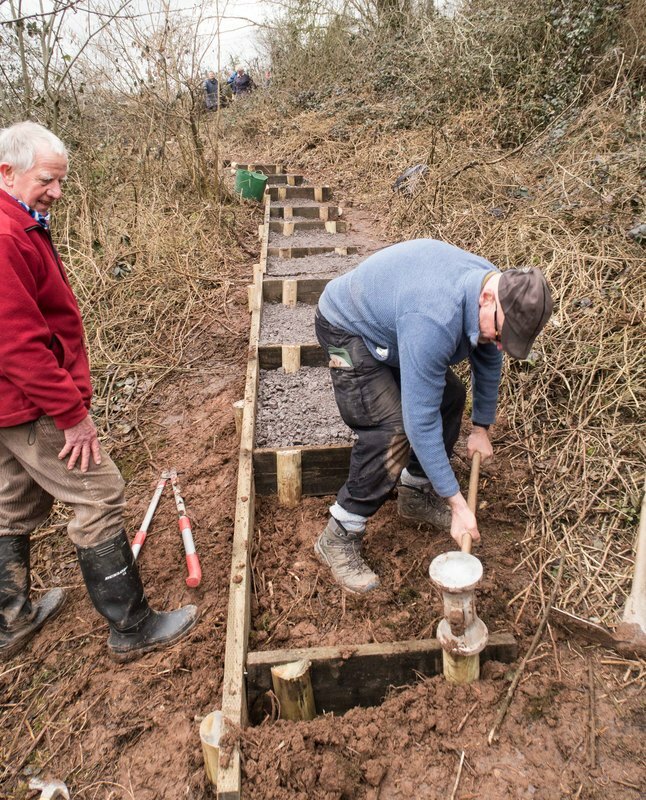 Eight members constructed a further set of steps up the slope behind Daniels Mill. Not that many more to do now! Six of us cleared the path from Conduit Lane to the bypass, on to the nursery on Ludlow Road, and beyond the Punch Bowl to Tiddlebrook. 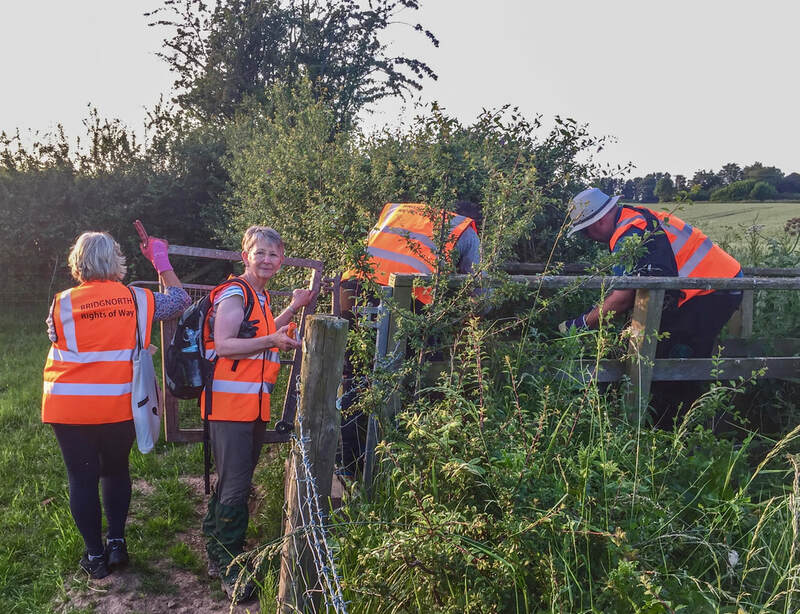 You could include it in a 5km walk into the countryside, possibly including the Severn Valley Railway and the centre of Bridgnorth. 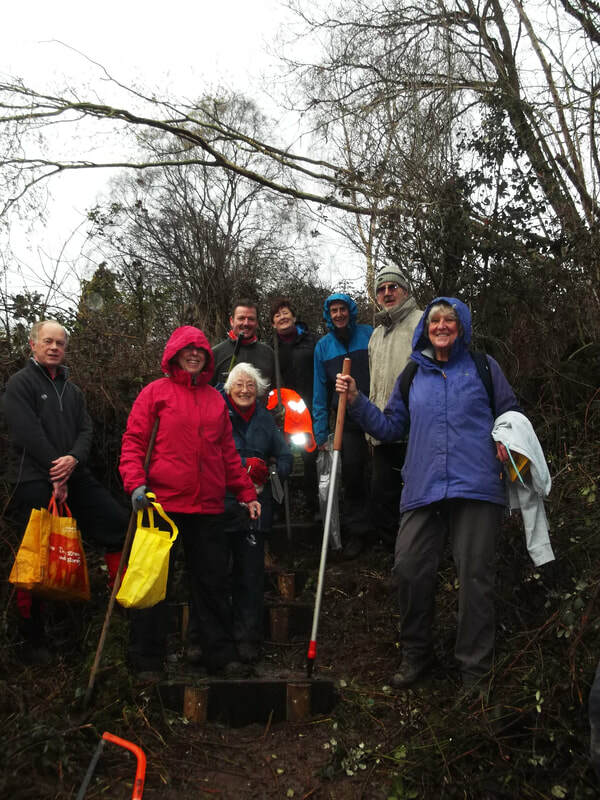 Eight members cleared the rest of the path behind Quatford Castle and the top of the path from Quatford to Sandyburn Lane. 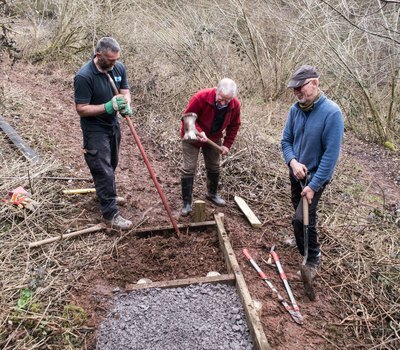 This work completes a 9km circular route to the south of Bridgnorth, along the river Severn, up through the woods behind Quatford to Stanmore Country Park, and back to Bridgnorth over the escarpment, with great views over the town. Thirteen members cleared the path behind Quatford Castle, leading from Old Worcester Road and the top of Church Lane, Quatford. 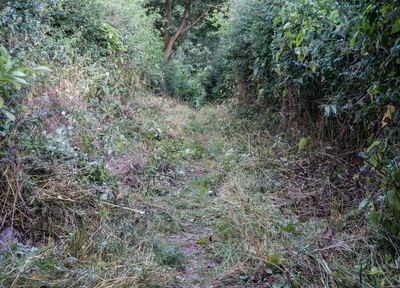 We plan to complete this work and previous work on the path down to the Fox House, on our next clearance session on the 19th September. 8 of us cleared the paths around High Rock and along the top of the escarpment to Wolverhampton Road. 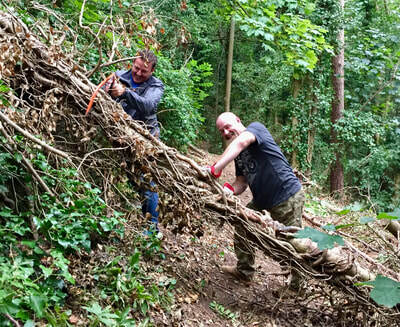 A number of fallen trees were cleared from the paths and overhanging branches removed. Brambles and other overgrown were removed with the brush cutter. A great improvement and the paths cleared for the winter. 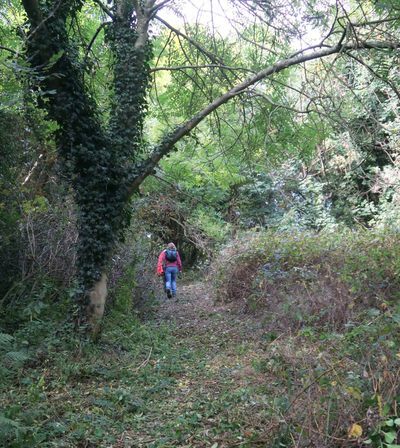 We will return in future to address slippage of the path in one area. We returned to the path above Daniel's Mill and cleared back the brambles and overgrowth from the path. 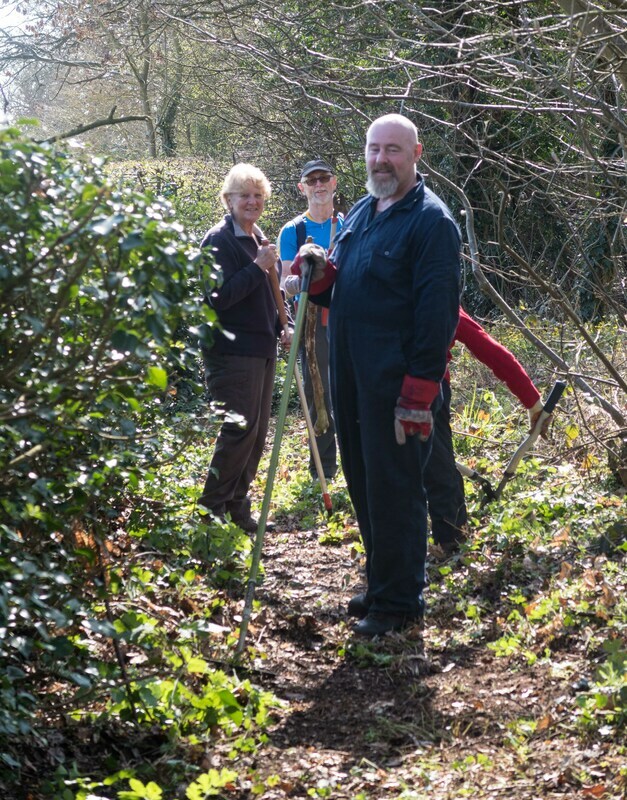 With the aid of our new brush cutter (provided by Shropshire Council), 7 of us cleared the path in 1.5 hours. A great job. 7 members cleared the path above the Hermitage and around Queen's Parlour, including removing a couple of fallen trees and cutting back brambles, bracken and bushes on sections of the paths. Thanks to all. 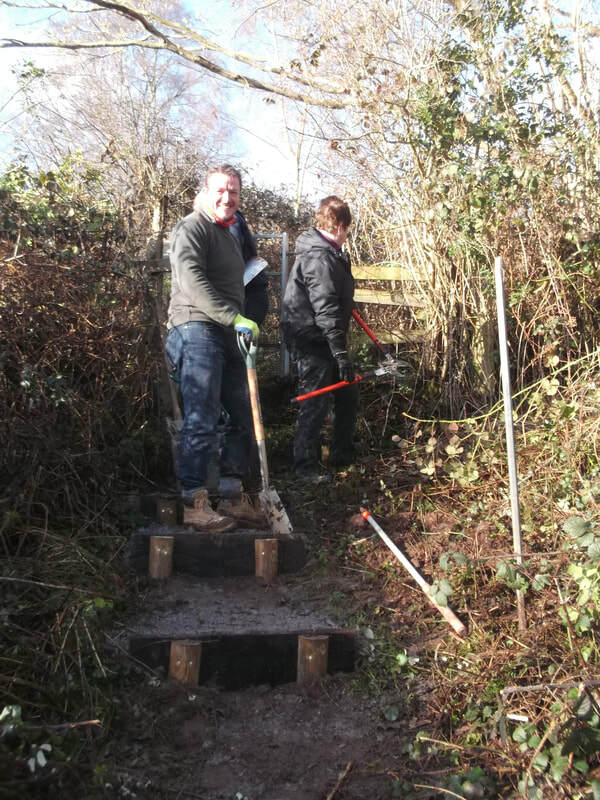 A group of 11 of us cleared the path along Cantern Brook, from Broseley Road (B4373) to the fields leading to St. Mary's Cottage. 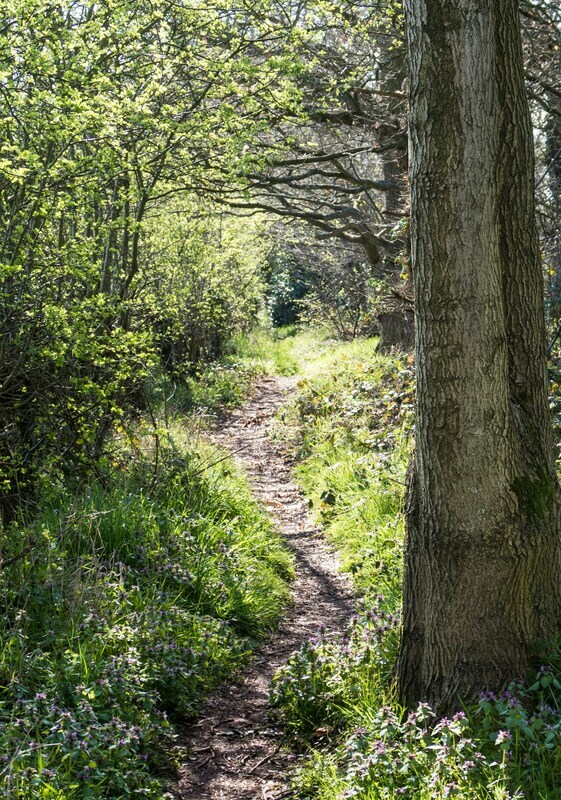 In dry weather this makes an enjoyable walk through the wood, and can be the start of a loop either via Tasley or via Astley Abbots back to Bridgnorth. Thanks to everyone who contributed. 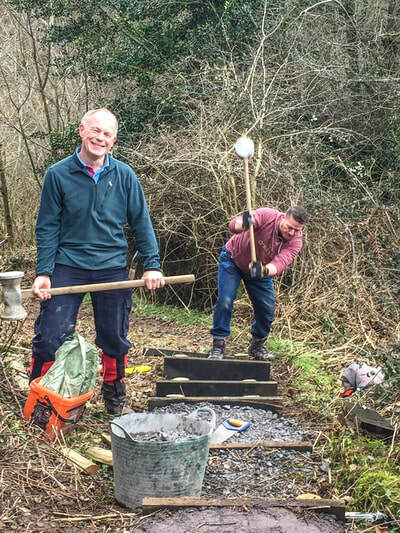 6 members cleared most of the path through the wood above Quatford. We will be returning, possibly over winter, to complete the clearance, stabilise the path in a few places and improve the way marking. The route of the path is not easy to follow in places and does not follow the exact line of the right of way shown on OS maps. 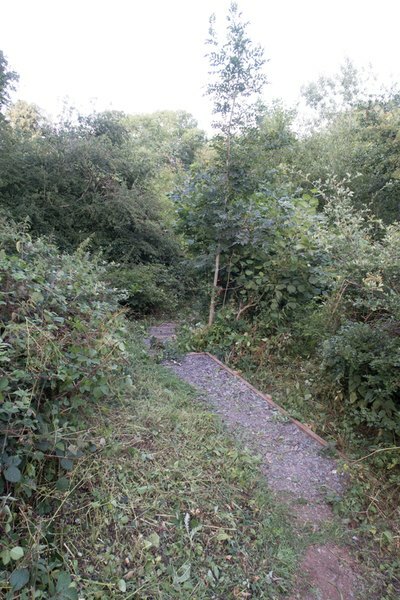 The approximate line of the path can be seen at Route. Take the narrow path between fences from the lane. 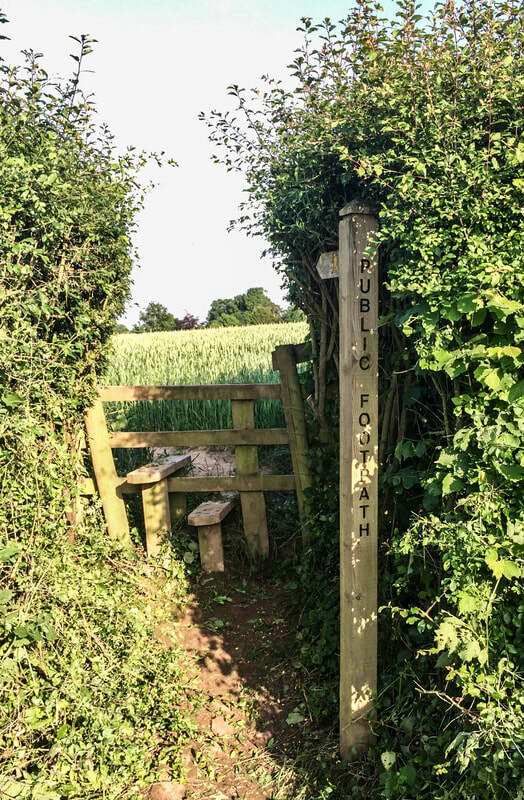 On crossing the stile, veer right and them immediately left to follow the path that is in line with the narrow path leading to the stile, and proceed along the valley. 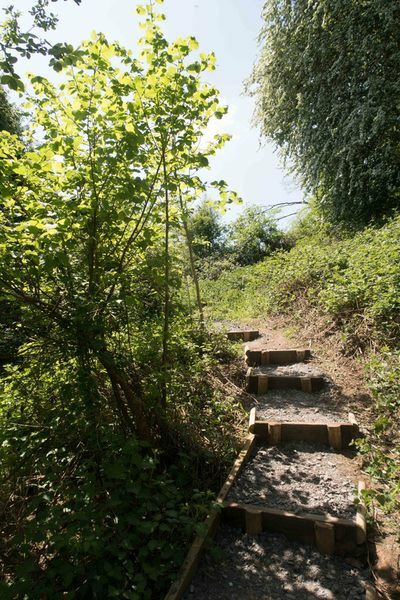 (Do not follow the path to the right leading up the slope.) Follow the path until you come to a large tree in a clearing. Then head somewhat to the left (do not follow the path at right angles in either direction and do not continue up the valley). The path at this point can be covered by bracken in summer, but you will soon come to a clearer path up the slope, passing a small cave on your left, and coming to a way marker at Sandyburn Lane. 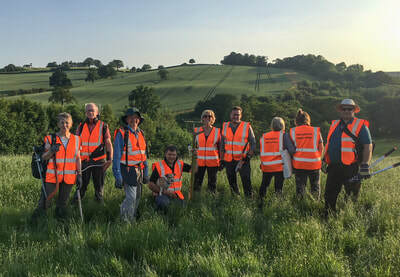 10 people walked 2.5 miles from Oldbury to the South West, through Westwood, and looping back to Oldbury. 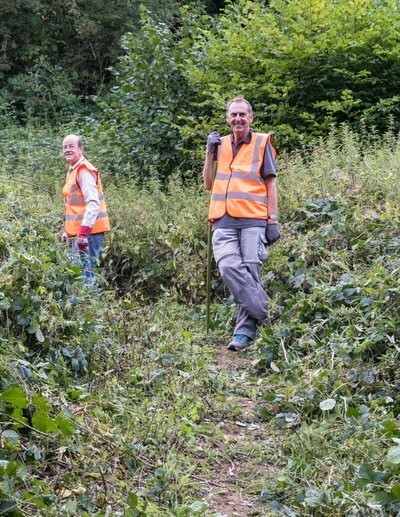 We cut back all the stiles on the walk and used brush cutters to clear the path down to Mor Brook and along the verge of the road into Oldbury. Thanks to all who came. 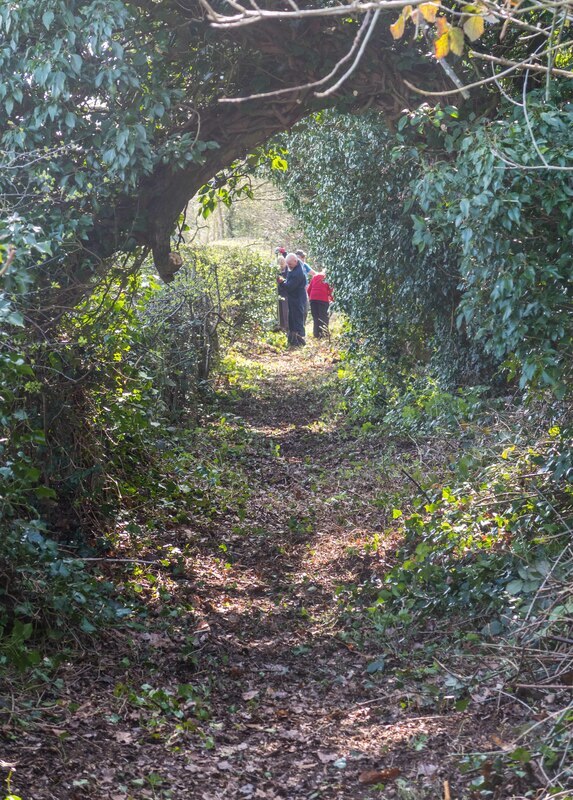 This loop makes an enjoyable walk and the route can be viewed at Route. 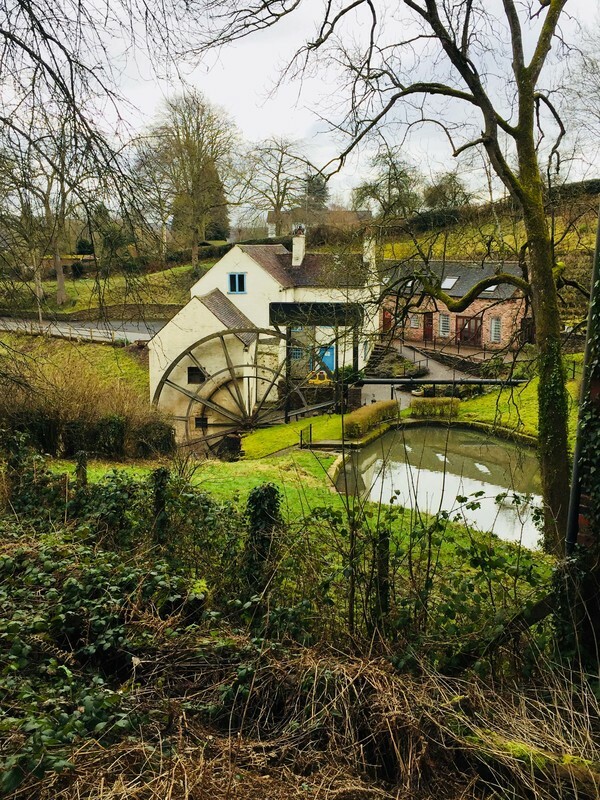 It can reached easily from Bridgnorth by walking up the path from behind the Severn Valley Railway, crossing the playing fields and then crossing the bridge over the bypass. 4 of us added another flight of steps and two sections of retained path. 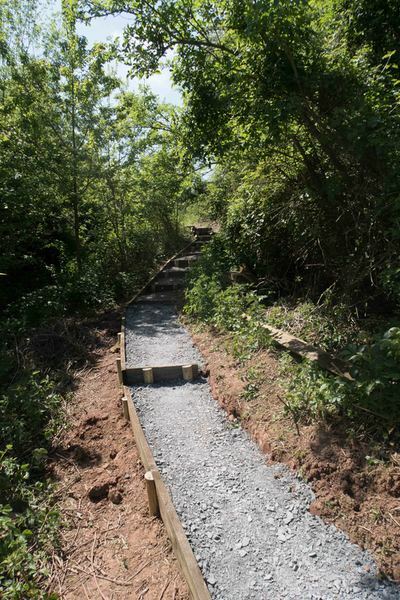 Work on about 3/4 of the path up the slope has now been completed. This has been a major improvement since January. Thanks to everyone who has contributed. We will return to complete this path over the next winter. 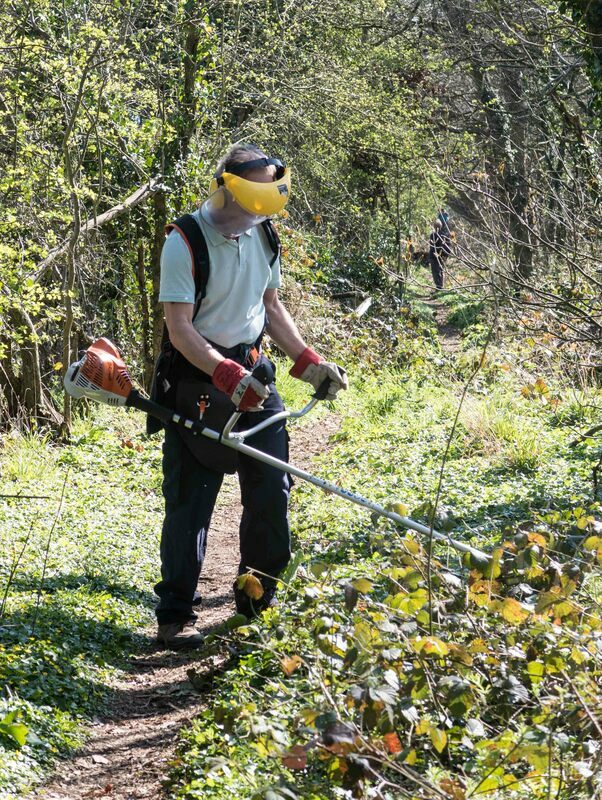 6 members cleared paths around Oldbury and along the bypass, removing a few large branches crossing the paths and cutting back areas where new growth would block paths over the summer. 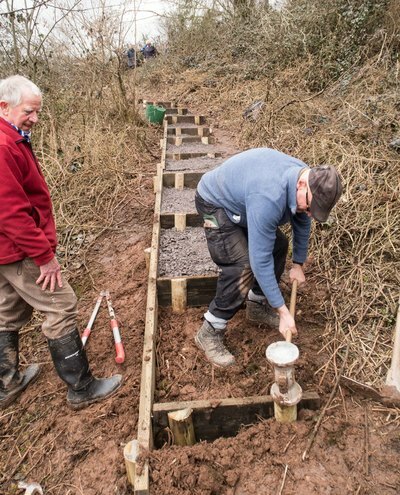 Work on the path at Daniel's Mill was postponed due to shortage of materials. 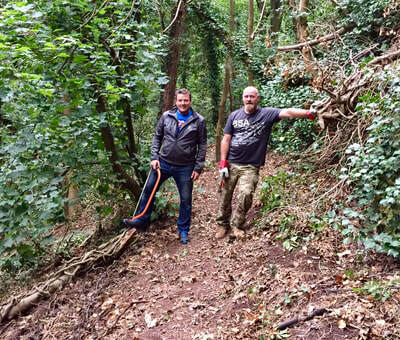 5 members walked a number of local paths, including paths along the River Severn, and cleared branches and undergrowth. 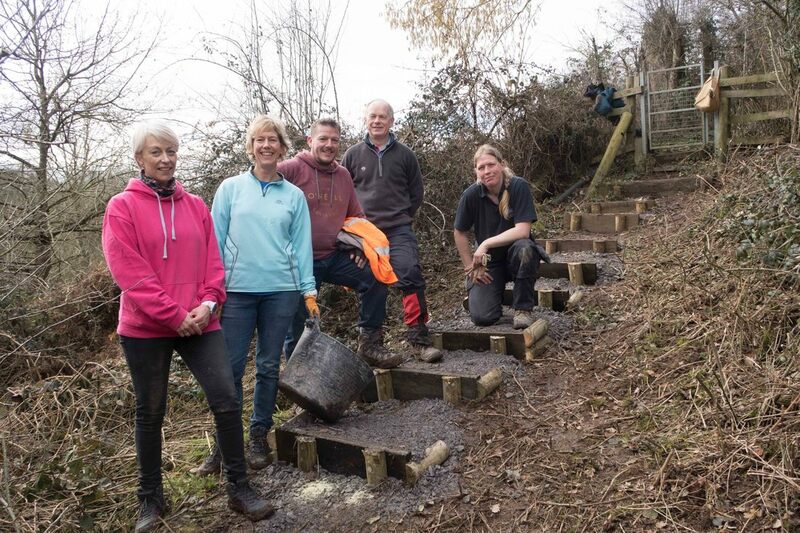 A second group of 5 continued work on the steps down the slope above Daniels Mill and made a lot of progress in about 4 hours, with the help of some of the walkers on their return. We have now completed work on about 2/3 of the slope and will return to finish the remainder over the rest of the year. 6 of us installed a lot more steps up the slope behind Daniel’s Mill and cleared nearby paths. 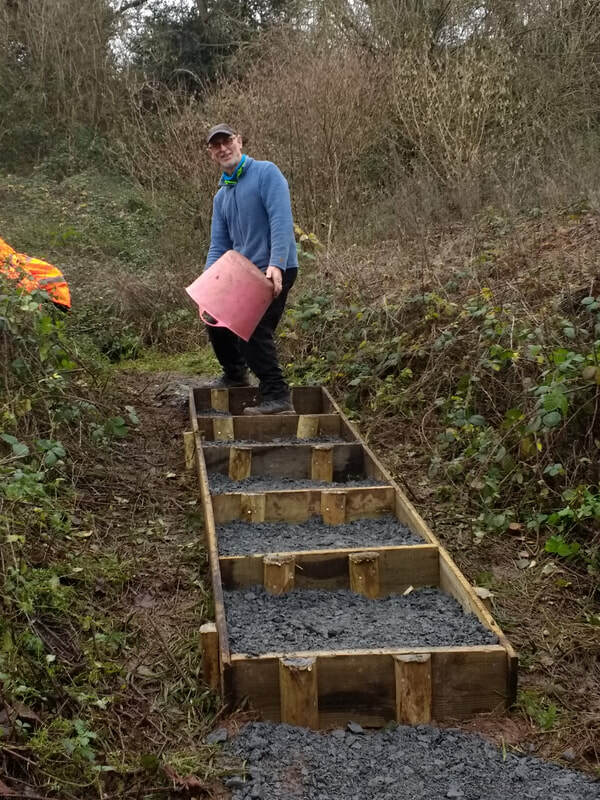 Installing the steps took us only 1.5 hours, by which time we had used up a full bag of ballast. 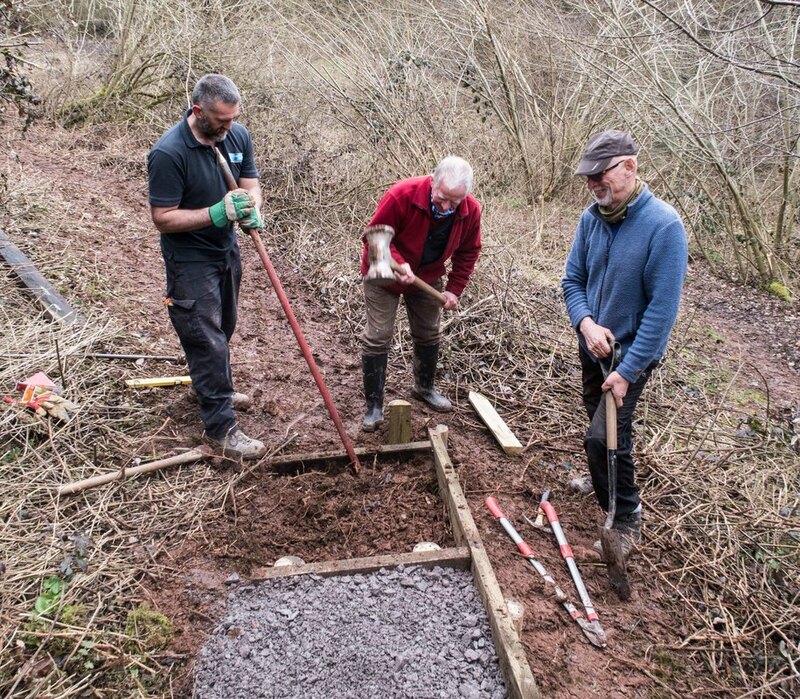 We have now completed about half of the path - two more working groups later in the year will be required to complete improving the path. Thanks to everyone for taking part. A group of 10 volunteers cleared a new route for the path on the slope behind Daniel's Mill, moving the route by a few meters to avoid land slippage. 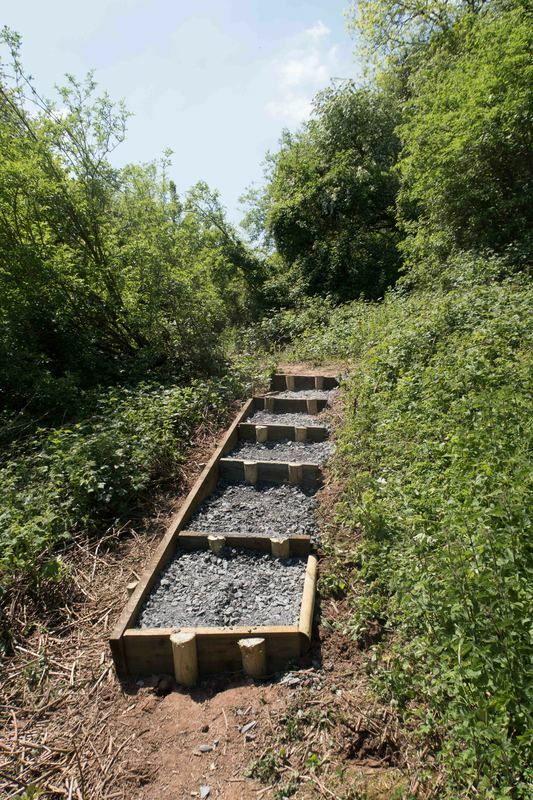 We also installed three new steps at the top of the slope. More steps will be installed on the steepest parts of the slope later in the year, probably starting on the next working group in February. Thanks to everyone who contributed. The working group cleared the path along the top of the escarpment to the east of Bridgnorth, from Wolverhampton Road, past Queen's Parlour, and on to the reservoir above Hermitage Hill. 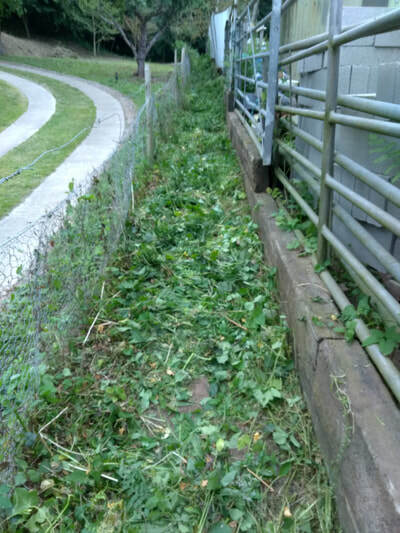 A group of 13 volunteers cleared the path in just 2 hours. Thanks to all of them. The working group cleared the footpaths between Conduit Lane and Tiddlebrook, via the Punchbowl Inn. 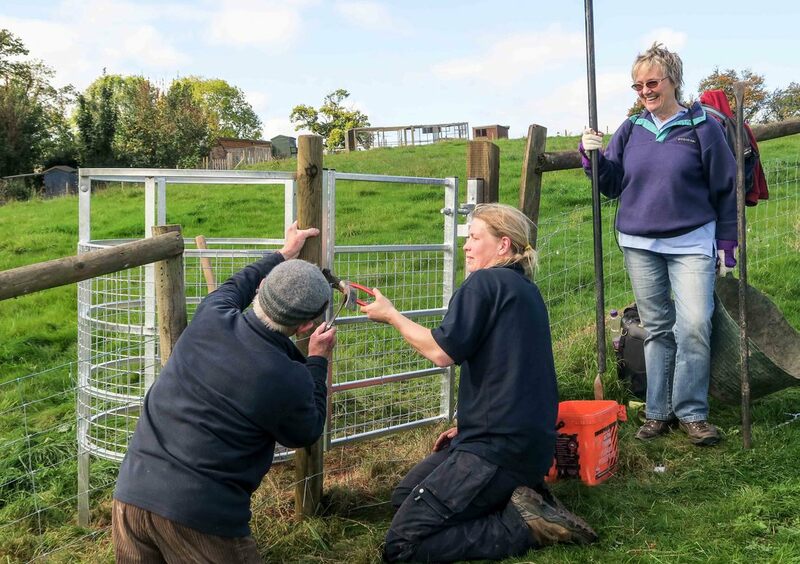 It also installed a gate in a new fence on the route. It's encouraging to see how much can be achieved by seven people in less than 3 hours. Thanks to all who came.